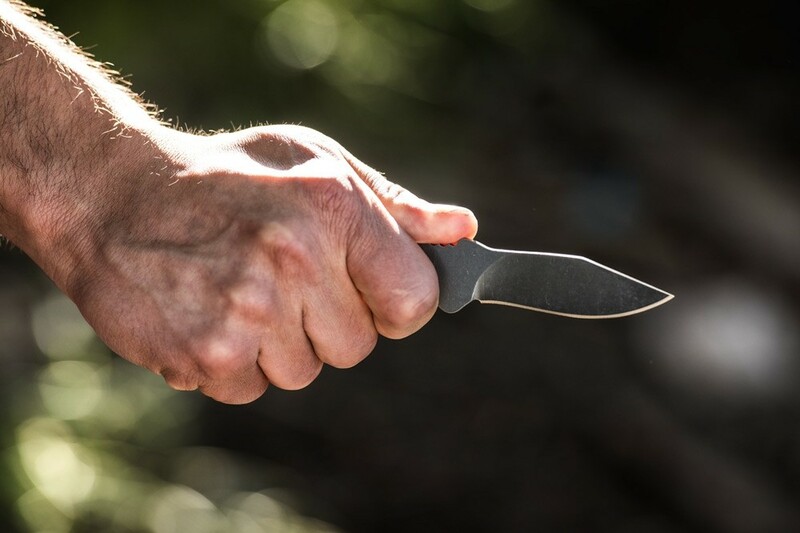 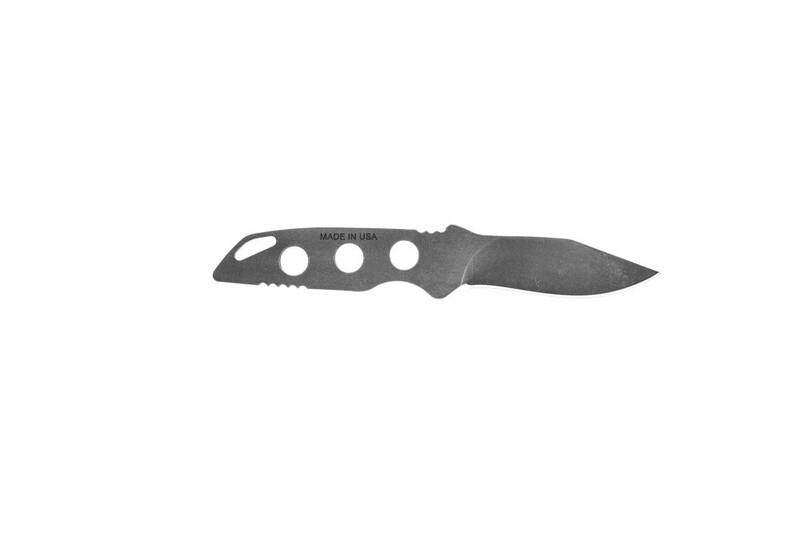 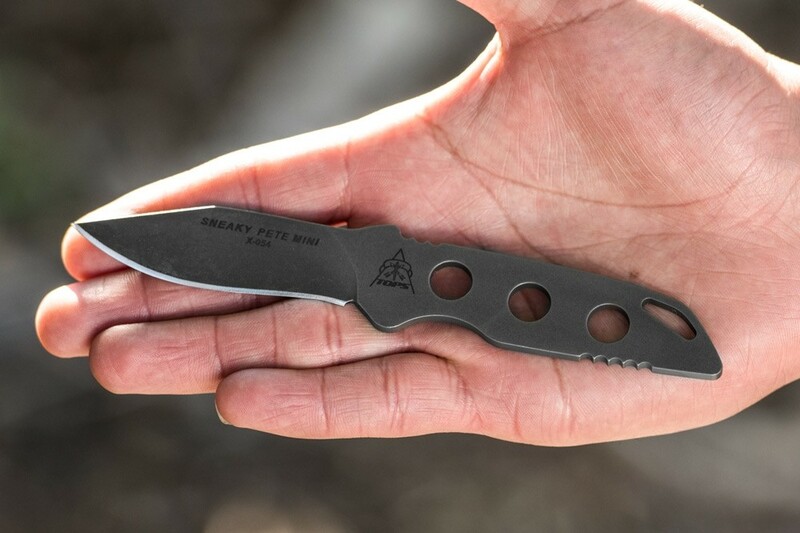 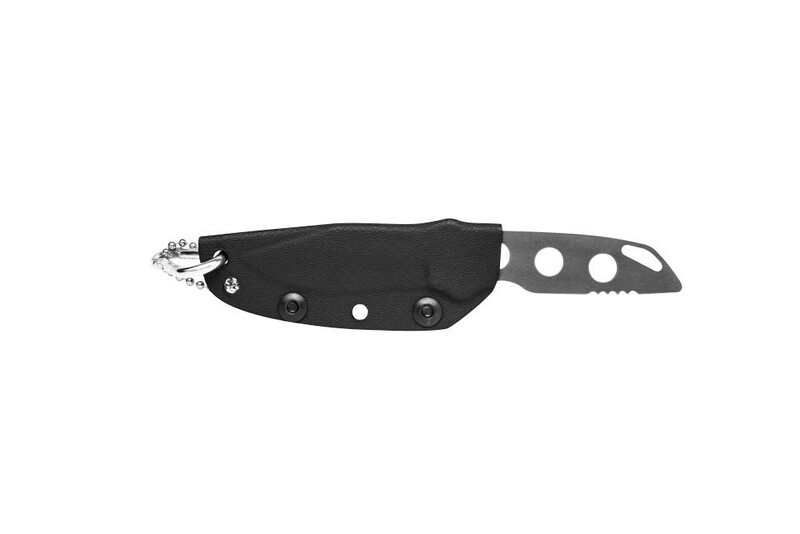 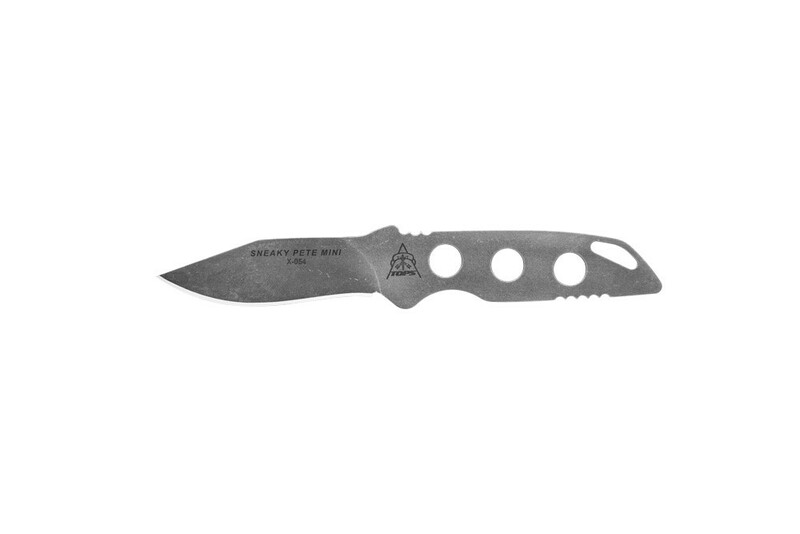 Based on the popular Sneaky Pete, the Sneaky Pete Mini has been an excellent addition to TOPS' neck knife options for the men that don't back down. 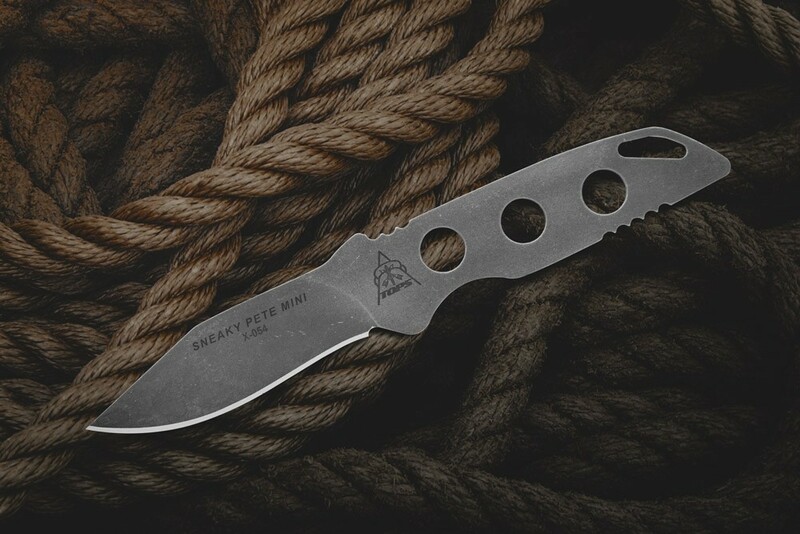 In 2018, the Sneaky Pete Mini was updated from its original version. 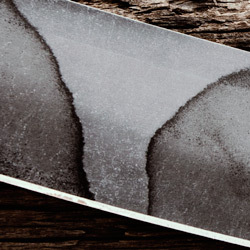 Now it is made out of 1095 high carbon steel with TOPS unique Acid Rain finish. 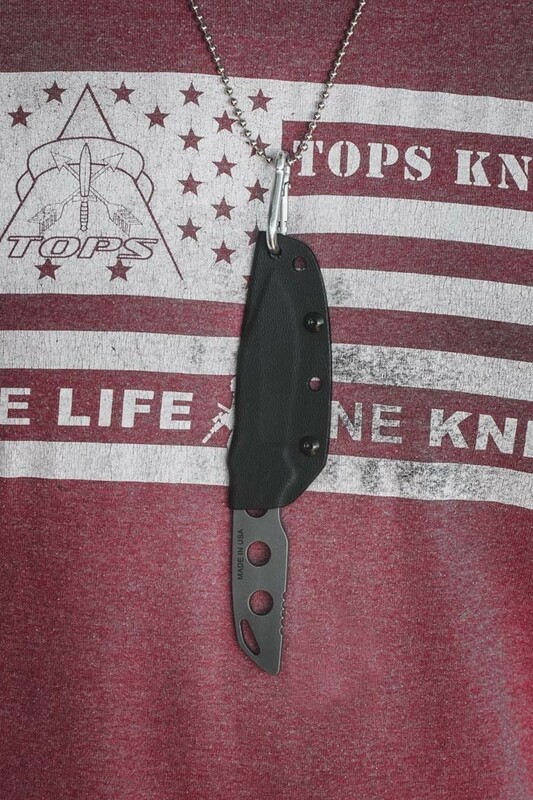 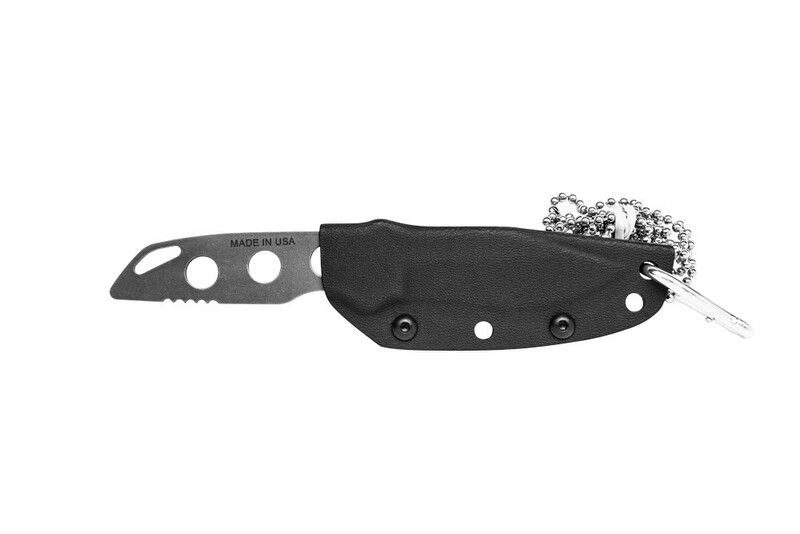 It comes with a Kydex neck sheath and this knife will all but disappear when worn under a shirt. The clip point with a recurved blade is an excellent complement to the larger sized Sneaky Pete. 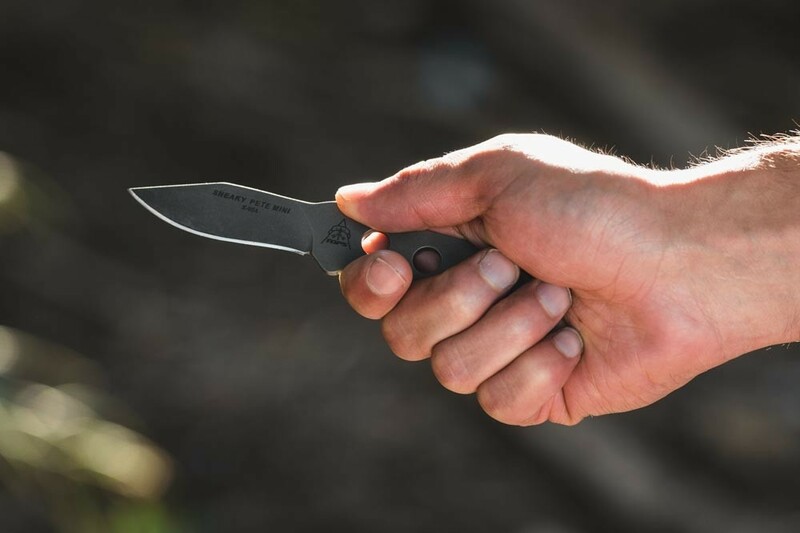 The Mini version excels at EDC tasks and makes for a great utility knife that could be used as a self-defense tool in a pinch, especially in places where your weapon must be invisible until it is needed. 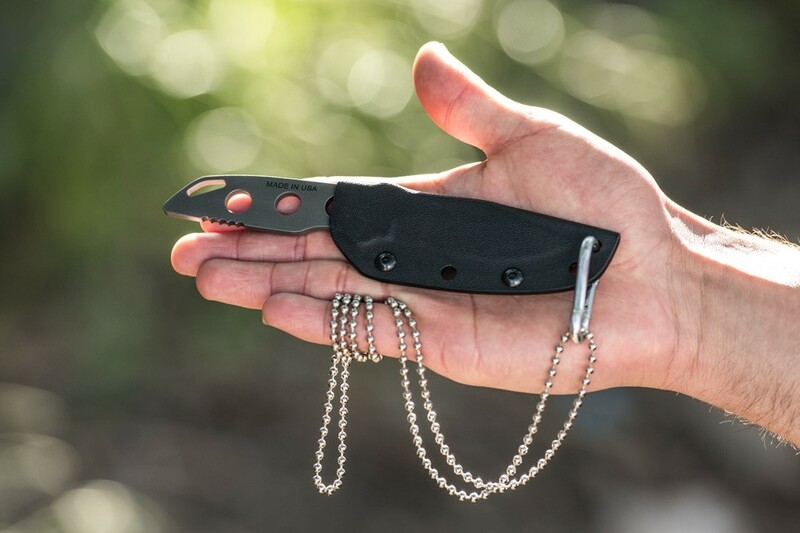 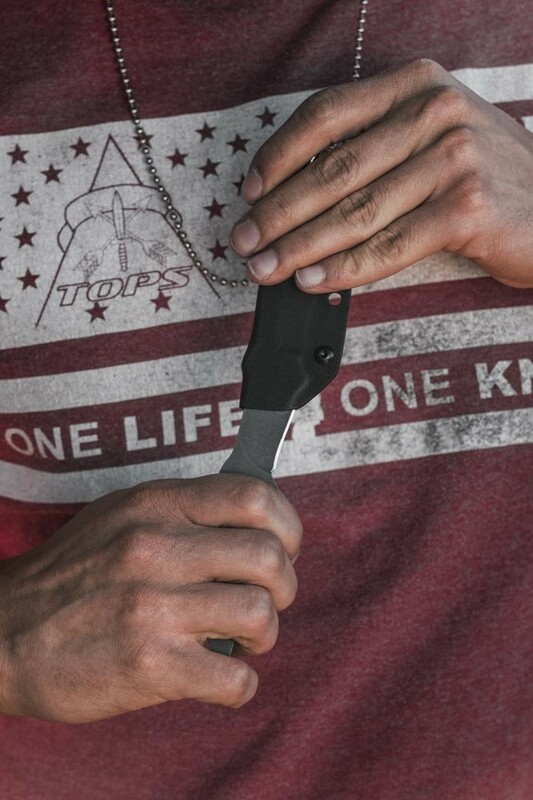 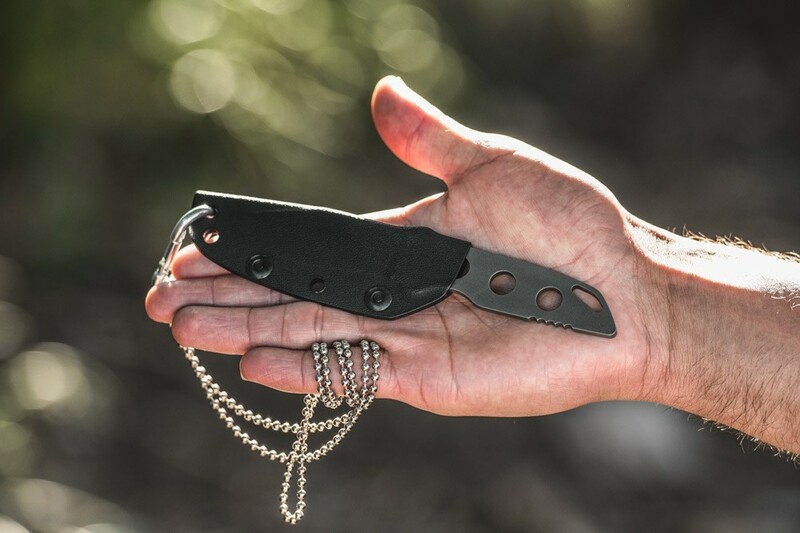 By keeping everything thin and light, the knife is very easy to carry with you every day whether around your neck, clipped on your belt, or even in a pocket or purse. 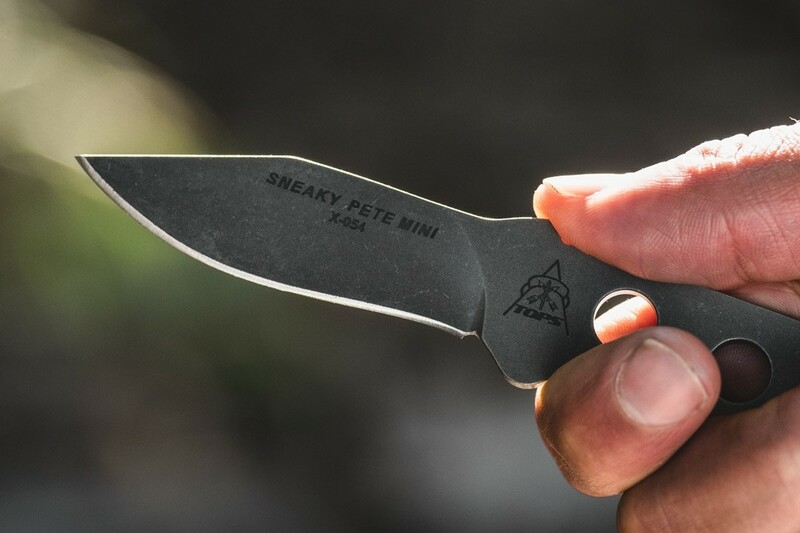 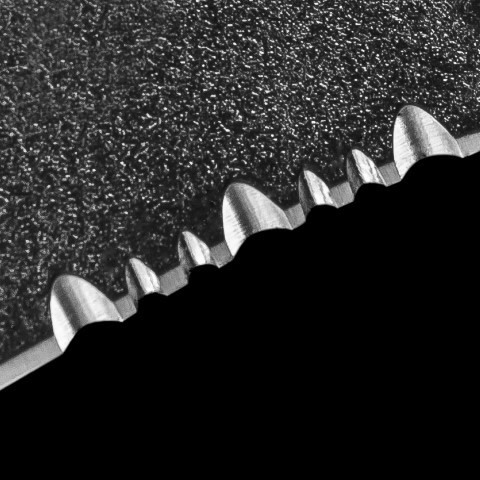 So if you're looking for a for a knife that you can use for regular daily cutting tasks that doubles as a last-ditch defensive knife, the Sneaky Pete Mini might be right for you.